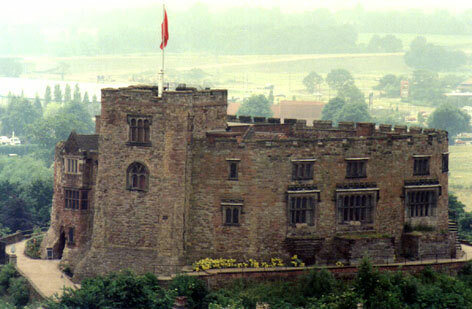 Is Staffordshire's Tamworth Castle haunted? The present version of Tamworth Castle was built during the 11th century by the Normans and many additions have been made over the centuries, especially during the Jacobean period. However, A castle has stood here, overlooking the River Tame in Staffordshire, since Anglo-Saxon times. Currently owned and maintained by Staffs Corporation, 15 rooms of the building and grounds are open to the public. Also worth noting is that the building was featured in a painting by Joseph-Mallard William Turner in the mid-19th century. Many strange tales surround the building, such as staff reporting the sound of "furniture being moved around" in the Ferrers Room, blue mist swirling around in the Exhibition Room and the ghosts of two women. One appearing in white and the other appearing as a black shadow... The white lady is thought to be a woman who was captured and locked away in the tower by Sir Tarquin, her moaning and weeping noises are still heard by people - perhaps she still thinks she's trapped in the tower? The black lady is a nun called Editha, who's order was founded in the 9th century. Apparently the nuns were expelled from a convent nearby by Robert De Marmion and the angry prayers from these nuns called Editha back from her grave.